Pres. Hoover announces Eastern rail consolidation plan successfully negotiated; seen likely to get ICC approval; Congress may be more difficult - in particular Sen. Couzens is skeptical of claimed economies, may be supported by insurgent Republican element. However, Congress must pass new law to block proposal; by current law, ICC has authority over consolidations. Editorial by T. Woodlock: Utilities have to this point developed in more harmony with the public than rails. However, lately two factors have impaired public relations: consolidation of widely scattered utility units into big corporations, and obscure and sometimes unsound financing of those corporations. Utilities must address these issues, taking more care to handle relations both with customers and investors so as to be open and above suspicion, and maintain good will. Agriculture Dept. notes soil erosion on over 75% of cultivated land in US, some of it serious; in some major farming areas, over 90% of land is losing topsoil. Agriculture Dept. to issue weekly news releases designed to help people of limited means make healthful selection of food. [Later known as the Empty State Building. ]Alfred E. Smith reports leasing and construction of Empire State building proceeding rapidly; building should be ready for occupancy well before May 1. Internal combustion engine demonstrated at Holly Motors combining usual carburation with air injection as in diesel engine; expected to enable small car to run 50 miles on gallon of gasoline. M.D. Hart, British scientist, proposes silencing airplanes by arranging noises caused by engines and propellers to cancel each other. Lt. H. Connor, transatlantic flyer, plans 3-day transatlantic mail service. Mail plane would overtake ship 600 miles from coast, land on it, then take off from ship when it was close enough to destination. World's highest gas prices: Nairobi, 69.2 cents/gallon; La Paz, 64.8 cents; Ethiopia 36.5 cents. Trained animals are paid more than almost all actors in Hollywood; daily rates listed by M.G.M. include alligators $12 to $25; ostriches $25; monkeys $25 to $35; horses, $25 to $50; bears $50; camels $75; tigers $100; leopards $100; elephants $150; trick mules $150. [I'm not sure about the Canadians getting spared part. ]For the past 8 years William Greenwood of Olympia, Wash. has been building the “Second Ark” based on his vision of a 1932 flood that will deluge the whole West coast south of Canada as retribution for the wickedness of the great cities on the coast. Market wrap: Stock market featured vigorous rise in rail shares, particularly in the Eastern roads involved in consolidation; industrials and utilities also showed greatly improved tone; after some early hesitancy upswing spread to the general list by noon. Bonds mixed; US govts. firm; foreign weak; corp. mixed but with good rally in rail bonds. Commodities generally firm, but silver hit new low of 30 3/4 cents. Broad Street Gossip: Market has been going down monotonously for so long, traders now come in expecting new lows each day. Traders using the strategy of buying on breaks and selling on rallies have lost a lot of money due to the lack of rallies on which to sell. Broad Street Gossip: In spite of all the talk about hard times, Broadway theaters, Madison Square Garden, and local big movie theaters continue to be packed; on one recent evening it took an hour to get from 14th St. to 116th in a taxi. Substantial buying seen by traders expecting a rally in the short term based on historical year-end precedent and impressive support of leading shares during recent tax selling. Past year's depression has been much worse than predicted a year ago. Commodity prices, industrial activity, and earnings all declined much more than expected. “The deflation has been most complete.” Companies able to weather the storm should be in good position to benefit immediately from any upturn. Most industrial leaders expect considerable improvement in 1931, though possibly not until the second half. Hornblower & Weeks: “The closing price levels of 1930, taken by and large, offer investment opportunities which will probably be considered the bargain prices of the coming decade.” At previous short-lived bottoms in Nov. 1929, June 1930, and Nov. 1930, dividend yields on high-grade stocks were still relatively low; now, out of a total of 853 common stocks listed on the NYSE, only 42 yield less than 5% [Pretty amazing!]. W. Chrysler estimates 1931 auto production at 4M cars vs. 3.5M in 1930; estimates inventories 35%-40% below a year ago; increased consumption of gasoline shows people have been using up cars and postponing normal replacements; “year just ending has been one of intense preparation for a business revival” that will demand larger volume of production and reward those developing new ideas and better values. G. Swope, GE pres., says expects electrical mfg. industry in 1931 should be somewhat better than 1930. N. Carlton, Western Union pres., says 1931 may be “very disappointing business year” based on usually accurate barometer of Western Union business, currently 15% below 1929. “ The headache following the late financial spree is far from over ... many inefficient and over expanded businesses which grew like mushrooms in the boom times remain to be liquidated.” The very form of the US govt. is endangered if we put too much of the burden on those least able to withstand the effects of reduced income and unemployment. L. Wakefield, First National Bank pres., sees country working itself out of depression; “I am sure we can look forward to steady business improvement ... The greatest danger ... is that we may be drawn to unsound economics schemes” or cure-alls. P. Weld, NY Cotton Exchange pres., notes past year's oversupply and drastic price decline, but strongly believes this will be corrected by lower production and increased consumption, leading to price recovery. Rail freight loadings for week ended Dec. 20 were 713,810 cars, down 30,633 from prev. week and down 128,965 or 15.3% from 1929 week. Nov. net operating income for all class 1 rails estimated at $63.8M, down 26.4% from 1929 and 43.8% from 1928. Steel ingot production in week ended Monday was at 24% due to holiday shutdowns; this was better than the predicted 20%. There was a sharp comeback at the start of this week. Iron Age reports 1930 year of drastic adjustment for steel, total production of 40M tons down 27% from 1929. However, confidence has been steadily gaining through Dec., along with contracts for first quarter. American Machinist reports strong machine tool inquiries, prosperous new year predicted. Census Bureau reports total value of all products manufactured in 1929 was $69.4B vs. $62.7B in 1927. Germany's foreign debt estimated to exceed foreign investments by $4B; in 1913, the latter exceeded the former by $5B. Canadian Premier Bennett says govt. will guarantee banks against Wheat Pool losses, provide direct assistance to farmers. Ivy Lee, sugar conference negotiator, says all sugar producing nations must make severe sacrifices; 'Laissez-Faire' and survival of the fittest will bring ruin to large numbers with no benefits to anyone. Results will affect billions of invested capital and millions of workers and farmers, have far-reaching social and political consequences. Cites $750M US investment in Cuban sugar production, now valued at $35M. Call money eased to 3 1/2%. NYSE seat sold for $192,000, down $8,000 from previous sale and lowest price since 1927. The high price in 1930 was $480,000. City Ice & Fuel reports ice industry had its best year in 1930, with tonnage sales up 3% vs. 1929 to over 64M tons. Tire companies expected to cut prices to meet cuts by mail order houses; this would reverse last Nov. 1's price hike. Companies reporting decent earnings: American Can, Northern Paper Mills. Washington report: Pres. Hoover has addressed the nation by radio 37 times this year, a record; Pres. Coolidge made the same number of broadcasts in seven years. Sen. R. Wagner (D, NY) says US must finally accept unemployment insurance despite opposition; has introduced bill in Congress. Editorial: It's not surprising that Sen. Norris [Republican insurgent] rejected an offer of party leadership; as a political malcontent, he would rather stay outside the system and throw inaccurate charges at it. Wickersham Commission said unlikely to recommend changes to Prohibition; will report to Pres. Hoover in second week of Jan. Sen. Vanderburg (R, Mich.) proposes allowing veterans in need to borrow more against compensation certificates; administration said sympathetic. Recovery in 1931 hoped for by British Premier Ramsay MacDonald, AFL pres. W. Green, Bush Terminal Co. pres. I. Bush. AFL pres. Green sees basis for business prosperity in high wages, organization of wage earners, shorter working hours, and coordinated control of industry. Hopeful on spring recovery; Dec. increase in unemployment much less than Nov., and less than usual Dec. increase. Dr. J. Klein, Asst. Commerce Sec., says European unemployed may exceed 7.5M by Feb., unless ranks of unemployed decline “we may expect recurrences of political instability.” Editorial: Much of the European economic weakness is caused by misguided tariffs supposedly enacted to help domestic economies. For example, many countries have raised wheat tariffs to encourage domestic production, with a resulting huge wheat surplus. In the machine age, nations are inescapably dependent on each other; this type of economic warfare makes all losers. China enacts new tariff schedule with some drastic increases. Denmark, Holland, Sweden, Norway, and Belgium/Luxembourg sign tariff agreement barring increases without notice. [Ay Chihuahua! dept.] Agriculture Dept. says Russia blessed with abundant first-grade wheat land; may increase production to take care of domestic needs using collectivization and mechanization, and export as much as 200M bushels by 1933. Broad Street Gossip: Soviet leader Stalin charges that US workers don't benefit because of capitalist control. If Mr. Stalin would take the time to go over shareholder lists of AT&T, US Steel, GE, etc. he would find the great majority are workers and small holders. This is because of wages sufficient to buy homes and cars, educate their children, and put money into savings and stocks. [Interesting.] 1930 hailed by Met. Life Co. as record health year for US and Canada; no widespread outbreaks of contagious disease, and even cancer mortality declined after a long series of increases. General Foods says yearlong test marketing of Birdseye quick-freezing process in Springfield, Mass. successful; can deliver meat products to consumer at same prices charged for fresh meat, cuts selling costs. Diners on the Boston & Maine RR vote 78%-22% to allow smoking in dining cars; women voted 74%-26% and men 80%-20%. A fundamental defect seen in production of talkies is lack of unified control. One person does adaptation, another writes additional dialogue, then director does production, then an editor unfamiliar with the director's concept edits the film for final showing. 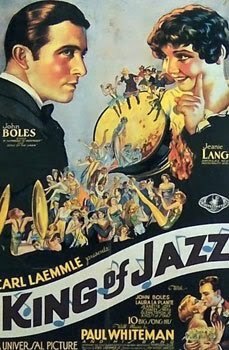 Needed is more producer-directors able to oversee entire production as reached a high point in silent films under Charlie Chaplin, D.W. Griffith, and Eisenstein; Edmund Goulding is already having success doing this with talkies. A famous Paris hotel has bought two four-passenger airplanes for use by its patrons. The largest will be used for travel to London, Berlin, or Madrid; the smaller is for travel to golfing or gambling resorts. Charges are 80 cents/mile for the large plane and 50 cents for the small one. Market wrap: Stocks fluctuated irregularly through the day, but leading shares were resilient considering weakness in bonds and grains and rise in call money. Bond market unusually active, strong early but weakens after rise in call money rate; govts. steady to firm; corp. mixed, with highest-grade issues rising but many new lows in weak issues. Commodities mixed; cotton up, but grains very weak. Bethlehem Steel dropped after merger ruling. Investment trusts were weak. Technicolor stock has declined from 86 1/2 to below 6; “colored moving pictures have, thus far, been by no means as popular as had been predicted”; prospects not considered bright unless process is improved. [There was about another 74% of downside from here.] Broad Street Gossip: Break in the market since Sept. 10 has been one of worst in history of the NYSE, with Dow declining 84.93 to 160.16. Repeated bottom calls have been made, only to have stocks go lower. No favoritism has been shown; good stocks have declined along with bad. Many time-honored market rules have failed to hold, particularly the one about “not selling a dull market”; hundreds of new lows have been made on low-volume days of 1.5M-2M shares. Bond men optimistic on bond market recovery based on NY Fed rate cut, thoroughly liquidation. Grains extraordinarily weak. In the Liverpool market, where records go back to 1594, wheat hit a low of 4 shillings (about 58 3/4 cents)/bushel; aside from a panic in 1894, this was the lowest price since 1654. Corn broke to the lowest price since July 1923, despite the smallest crop since 1901. A number of important traders have stepped out of the market until the new year, including operators who have been bearish the past 6 months. With dull markets expected until the new year Street speculation has turned to what might be in store then. Here signs are more hopeful; although no immediate business upturn is seen, signs were seen that “the great and deflationary movement in stock prices was nearing its conclusion.” These signs included enormous reduction in brokers' loans, easy money, high yields on many leading stocks, and the prevailing extreme pessimism among traders usually seen at bottoms. While well-informed circles aren't calling an absolute bottom, opinion is growing that sound stocks are at very attractive levels for investment buyers. Sir Josiah Stamp sees recovery in US before Europe; recovery unlikely to start before April, will start weakly and not gain momentum until 1932. Sees some 18 valid causes for the depression; immediate cause was overspeculation on NYSE, next was overproduction of raw materials, but an underlying problem has been the limited quantity of gold compared to production volumes. Calls for continued easy money, govt. economy and balanced budgets, assault on gold problem, and avoiding new Stock Exchange boom [Interesting that this was still a concern]. Harvard Economic Society says based on historical pattern, commodity prices are unlikely to improve until after general business upturn. J. Scoville, Chrysler statistician, sees recovery to normal auto production by about Sept., 1931. S. Ker, Sharon Steel pres., sees steel plants much better employed by mid-first quarter, gradual uptrend in general business in 1931. Royal Bank of Canada reports relatively favorable conditions in Canada against background of worldwide depression; employment holding up fairly well, new industries coming in large numbers, agricultural diversification progressing. Judge D. Jenkins issues unexpected decision on one of the most bitter and costly trials in industrial history; blocks the Bethlehem Steel - Youngstown Sheet & Tube merger opposed by Cyrus Eaton. Case took 6 months of continuous examination, involving “vast mass of evidence” and arguments on “many complex and often novel questions of fact and law.” [I wonder if lawyers also billed by the hour back then.] Merger would have created steel giant second only to US Steel. Dominick & Dominick predict over $18.5B of life insurance sales in 1930, down 4% from the 1929 record and up over $1B from the 5-year average. “Life insurance policies ... constitute the largest reserve fund of savings, both total and per capita, of any country in the world”; used both for emergencies and ultimate family security. Total life insurance in force at end of year will be over $108.5B; payments made in 1930 will be $2.2B. Call money advanced to 4%, due to withdrawals by out-of-town banks. However, this was seen as a typical year-end flurry, with easing expected quickly. US new car registrations in Nov. were 93,066, down 38% from Oct. and 49.3% from Nov. 1929; first 11 months were 2.530M, down 32.4%. Steel production in 1930 estimated at 29.6M tons, down 26.6% from 1929. Industry that used the most steel was building construction at 19%; second was automotive, 15.5%; third was rails, 15%. Automotive industry was largest user in 1928 and 1929. In first 9 months, Europe received 46.3% of US exports, a new high, vs. 42.7% in 1929 and 44.7% in 1928. Crop value that held up the best in 1930 was oats, down 15% to $454.0M; value of 62 other crops was $6.275B, down 28.4%. NY Fed. reports metropolitan area department store sales in first 24 days of Dec. were about 4.5% below 1929; volume comparison is more favorable due to price declines. Statement of closed Chelsea Bank said to indicate equity sufficient to cover depositors and leave $36/share for stock. Aldine Trust of Phila. ($9.3M deposits) closes after heavy withdrawals; offers $10,000 reward for conviction of those responsible for false rumors. Rumors are afoot of conservative Republicans “carrying direct and open warfare into the insurgent camp” with the most drastic idea to have Pres. Hoover list certain Senators publicly as Administration enemies and oppose their reelection. While opponents of this move say it would split the party and defeat it in 1932, proponents reply the party must clean house regardless of consequences, and that prospects for 1932 aren't that bright anyway. Past Republican policy has been to allow relatively broad diversity of opinions, but some leaders believe it's led to a situation where many just use the Republican label to get elected, only to later “knife” the party organization on all questions. [Strangely unfamiliar.] Rep. Garner's (House Dem. leader) proposal to pay soldiers the present value of their bonus certificate in cash seems unlikely to pass since it would force the govt., already facing a deficit, to borrow a further large sum. Chamber of Commerce adopts electric power policy favoring private enterprise and regulation by states. Bank of U.S. depositors petition NY State Att'y Gen. elect Bennett for full investigation; Bennett says will look into affairs of the bank immediately after taking office Jan. 1 to see if fraud took place. G. Beesmyer confesses to embezzling almost $8M from Guaranty Building & Loan of Los Angeles; sentenced to 10 to 100 years in San Quentin. Govt. of Chile orders newspapers to cut crime coverage or be prosecuted themselves; attributes crime increase to “playing up” of crime in newspapers. US telephone service to Finland established using intricate linkup of radio, submarine cables, and land wires over 9,000 mile span. Apellate Court rules life insurance policy exemptions for death in “aeronautical expedition” don't apply to death in ordinary airplane flight. US consumption of Christmas tree trimmings was over 800 tons, in addition to about 50M colored lights. [The Waldorf would have taken three.] Donald Hefling, “hostler,” and Lela Gaskill, waitress, of Council Bluffs, Iowa decide to pay for their wedding by saving every nickel that comes into their possession; it takes them two years. Market wrap: Pressure on stocks continued in Saturday's short session; volume increased on declines and several popular issues hit new lows. Commodities narrowly mixed. Bond trading quiet, prices irregular on year-end selling; US govts. steady; foreign irregular; corp. mixed, mostly lower. Week in review: Following vigorous recovery previous week, stocks lapsed into holiday dullness, ending mostly lower. Reduction of NY Fed discount rate to record low 2% from 2.5% considered most important development of the week. Bond prices higher on quiet trading. Steel operations lower on expected holiday shutdowns; improvement expected in new year. Gasoline inventories up sharply. Grains plunge. Cotton narrowly above year's lows. Rail traffic decline worsened; some optimism on consolidation. Traction shares were strong on Untermeyer plan for unification of NY mass transit, though the plan requires some new laws and company concessions. Weak spots included department stores, communications, and steel shares. Corn Products strong following corn sugar ruling. Goldman Sachs Trading and Technicolor hit new lows. [Strangely reversed.] An aggravating feature of the recent market has been substantial declines on low volume; for example, US Steel dropped 2 points Friday on sales of 30,100 shares. Bears say this indicates market is getting little support from the “large interests,” since a few thousand shares buying would have supported the stock. Growing feeling that year-end department store business was weaker than expected. H.L. Doherty & Co. says oil conservation efforts must be made more effective, “crystallize into concerted action.” However, E. Reeser, Amer. Petroleum Inst. pres., sees 1930 as year of “victory for constructive forces that have held to a common sense policy of proration of crude and curtailment of refined products”; crude oil inventories have decreased and the govt. has gotten behind proration. Rise in call money rate to 2.5% believed temporary, due to preparations for year-end dividend and interest payments. Few bull pools are now operating due to discouraging market action in past few months; some pools were organized in late summer but later forced to disband. Stocks of 16 leading steel cos. are now selling at avg. of 5.7 times earnings for past three years. Guaranty Trust of NY sees signs of promise in business situation, but no definite indication of early recovery. Commodities continue gradual decline; stocks and bonds have moved down; retail trade is up seasonally but industrial activity and employment has declined further. Process of financial liquidation has involved numerous bank failures, though as a group US banks are in a strong and liquid position. Business opinion generally sees recovery starting in first half of 1931, but slow and irregular at first; second half 1931 should show more progress and 1932 should witness substantial recovery. Class 1 rails 1930 net operating income estimated at $898M, a 3.4% return on property investment, vs. $1.275B or 4.95% in 1929; revenues estimated at $5.365B, down 15.5%. Passenger traffic about 27B passenger miles, lowest in last 20 years and 42% below 1920 record high. Freight car loadings about 45.9M cars, down 13% from 1929 and 11% from 1928. Capital expenditures about $875M, up $21M from 1929 and $198M from 1928. US Nov. motor vehicle output was 129,437 vs. 150,044 in Oct. and 217,573 in Nov. 1929. Youngstown District steel operations up sharply from Christmas holiday week; at 37% this week vs. 23% last week and 40% two weeks ago. Signs of further improvement seen, though a sharp advance isn't predicted; a gain to 60%-65% by April would satisfy most executives. 1930 trends in investment trust companies: Fixed trusts (similar to ETF's) gain in popularity, larger organizations starting to sponsor them. Managed trusts (similar to mutual funds) out of favor; great majority are sitting on big losses in their holdings; very few were in position to do substantial buying at the year's lows; a number of consolidations took place, as well as a few bankruptcies; State Attorney's investment trust inquiry in the spring was generally reassuring. British govt. is anxious to follow the US in cutting the Bank of England rate so that it can convert its huge 2B pound 5% War Loan to a lower rate of interest. This will be difficult now that British gold holdings have fallen below “Cunliffe minimum” of 150M pounds. Companies reporting decent earnings: United Light & Power, Rath Packing. Gillette's recent low was 18; if it maintains its $1 quarterly dividend, it would yield 22%. A prosperous midtown clothing seller, having seen “Wall Street” in the headlines several times in the past year or two, decided to try his hand at trading. He deposited $25,000 at a broker, then told the customer's man “Sell me some of that, and that, and twice as much of that,” pointing to a list of blue chip favorites. The market then went down, down, and down some more. Finally, the crestfallen clothier returned to the broker to take his losses and quit the Street forever. To his surprise, the broker gently broke the news that he had a $55,000 profit - it turned out the customer's man had understood “sell me some of that” as an instruction to sell short. Dow industrial average high of 294.07 Apr. 17; low 157.51 Dec. 16. Rail average high of 157.94 Mar. 29; low 91.65 Dec. 16. Utility average high of 108.62 Apr. 12; low 55.14 Dec. 16. Market value of NYSE-listed stocks high of $76.1B Apr. 1; low $53.3B Nov. 30. Dow bond average high of 97.70 Oct. 1; low 92.83 Dec. 17. Daily oil production high of 2.722M barrels Feb. 22; low 2.127M barrels Dec. 27, lowest since July 1926. Steel production in March was yearly high of 4.300M tons; low 2.234M Nov. 30. Rail freight loadings high of 989,504 cars Aug. 30; low 702,085 Nov. 29 (vs. 1929 high 1,203,139, low 798,682). Dow average of 8 iron and steel products high of $49.88/ton Jan. 2; low of $44.29 Dec. 26. Copper started year at 18 cents; low of 9.5 cents Oct. 24, lowest this century. Cotton high price of 17.45 cents Jan. 2; low of 9.53 cents Dec. 16, lowest since Aug. 1915. July wheat sold at 62 3/4 cents Dec. 26, lowest since July 1896. Dec. corn sold at 61 7/8 cents Dec. 23, lowest since July 1923. Farm price index declines to 103% on Nov. 15, lowest since Dec. 1915. Banking pool organized in Oct. 1929 to support stocks liquidated Feb. 24. W. Green, AFL pres., estimated number of unemployed in first quarter at 3.7M; Nov. estimate 5.3M. Bank of International Settlements opens May 12. Hawley-Smoot tariff signed into law June 17. Treasury surplus at end of fiscal year June 30 was $184M, public debt down $746M to $16.185B. Major failures: J.A. Sisto, NYSE firm, Sept. 30; Prince & Whitely, NYSE firm, Oct. 9; Caldwell & Co., Southern investment house, Nov. 14; Bank of U.S. Dec. 11. Editorial: No Christmas message was more important than the Pope's regarding peace on Earth. We can assume the horrors of the World War are known to world leaders, and that they realize “that in the future, wars will not be quarrels between princes but death struggles of peoples, from which neither side can expect anything but loss.” Yet, people still talk of “the next war.” Exaggerating the differences between nations and thinking in terms of war can make it more likely; also dangerous is the nationalism that interferes with peaceful settlement of international disputes. The US could also increase its efforts toward peace by joining the World Court. Washington report: Despite good intentions by leaders of both parties, current short session has been most “active and acrid” in years. Skirmish within Republican party is in the spotlight; insurgents threaten to start third party but not taken seriously. A “somewhat mysterious” Ray Benjamin of Calif. is now active as advisor to Pres. Hoover, leading to apparent change in strategy; speculation is active on his future role. Agitation continues for extra session of Congress. Another editorial by T. Woodlock against “social” (govt.) control of business: While in theory it's possible for democratic selection to pick those most competent to lead, in practice it's very unlikely to do so without a strongly compelling motive (usually fear). Banker's Trust of Phila. pres. S. Barker says depositors will be fully repaid, progress made toward reorganization but premature announcement might jeopardize plan. H. Shapiro, att'y for depositors, says bank appears sound, closing was due to false rumors. NY State Banking Dept. officials say they have traced a run on an unnamed bank last Saturday to Communistic sources; D.A. Crain is investigating. People's Bank & Trust of Miss. ($1.8M deposits) and 7 affiliated institutions closed; heavy withdrawals blamed. NY Clearing House cuts rates members can pay on short-term savings by 1/2%, to 1%. Of 1,750 women at Kansas Univ., only 7 aspire to be homemakers. 879 want to be teachers, 84 journalists, 80 nurses, 60 business women, 16 doctors, and 15 lawyers. Todd Shipyards gets $582,500 contract for 130-foot flame-proof fireboat for NY City able to throw 16,000 gallons/minute. Increasing numbers of Christmas greetings are being sent by telegram or wireless message instead of old fashioned greeting card (about 3M this year). Title of busiest man in US probably belongs to Alfred J. County. The Directory of Directors lists him as director of 134 corporations, and he is president or vice president of most; the corporations include rails, ferries, coal and iron mines, banks and trusts, real estate, insurance, stock yards, etc. Market wrap: Stock trading very light; most traders on sidelines or out of town until next week; prices higher before noon but “gently sagged” in the afternoon, with a number of new lows. Bond trading very dull, prices turned weaker after early strength; US govts. down slightly; foreign irregular; corp. mixed. Commodities weak; grains plunge, with July wheat (unsupported by Farm Board) hitting 62 3/4 cents, lowest since 1896. Copper shares continued to be relatively strong on curtailment optimism; banks and trusts were particularly weak. Stock weakness in afternoon attributed to break in wheat and belated tax loss selling. No major news came over Christmas; market sentiment remains generally optimistic. Historical market students point out market has gained in the final week of the year (Dec. 24-31) in every year but three since 1896. Gold exports seen likely following NY Fed rate cut if foreign central banks don't cut their rates. Market observers don't see big move until “some sudden development encourages trader's operations on either side”; advise buyers to wait for new year. Bradstreet's weekly review reports retail trade continues in fair volume, about equal to 1929 in unit volume but 10%-30% less in price in various markets. Dun's reports no outstanding change in commercial trends; unsatisfactory conditions continue, but some encouraging portents seen. [Surprisingly low.] Credit losses by 523 retail establishments in first half averaged 2.5% of total credit allowed; total sales in the period were $560.7M, up 6.7% from 1929. Fed. Reserve report for Nov. shows further decreases in industrial production, factory employment, and wholesale prices, and less than seasonal rise in department store sales of commodities. US stock of gold up about $30M in 4 weeks ended Dec. 17. Dow average of 8 iron and steel products declined to $44.29/ton, a new 1930 low. Scrap markets continue inactive. Farm Board chair. Legge says favors temporary embargo on wheat imports if world price falls low enough to favor imports in spite of 42 cent/bushel tariff. Sharp cut in Nov. cigarette production said due to overproduction earlier in year anticipating continued increase in consumption. German business situation described as worst in 50 years; industrial production at 53.4% of capacity in Oct. vs. 60.3% in May and 71.2% in Oct. 1929; no early improvement seen. Leading French stocks declined in past week to lowest levels of year, and well below 1929 lows. Yugoslav govt. seeks $60M stabilization loan. Although the War roughly tripled its territory and population (to 14M), the absorption of parts of Austria-Hungary, Montenegro, and Bulgaria with weaker currencies caused drastic depreciation in value of the Yugoslav dinar from a gold franc to 4 gold centimes postwar. Cuba cuts govt, budget by $12M to avoid bankruptcy; current budget is $69M for year from July 1, 1930 to June 30, 1931. Company reports since Oct. 1: 274 companies reported higher earnings vs. 1929 and 477 lower; 996 dividends unchanged, 97 increased, 183 cut. Companies reporting decent earnings: Hudson & Manhattan Rwy. (commuter rail), Hamilton Woolen, Meteor Motor Car. Western Union and IT&T earnings have suffered due to depression, with each barely earning enough to cover dividends. Montgomery Ward mgmt. said not planning to open new stores in 1931; will focus on making existing stores more profitable. Barnsdall (oil, pipeline) stock 10 5/8; annual dividend $2, net for first 9 months $2.08/share vs. $2.53 in 1929. [Strangely familiar.] NY State to investigate short selling of bank stocks and spreading of false rumors in connection with Chelsea Bank failure; various brokers subpoenaed. J. Wayne, Phila. Clearing House pres., says banking situation in Philadelphia back to normal. Washington report: Republicans are increasingly calling for the party to “come to grips with the insurgent element in a definite and final manner ... If the process means party disruption and possibly a national defeat, there are plenty willing to let that come.” Matter has come to a head due to feud between Sen. Norris, who bolted the party's Presidential candidate in 1928, and R. Lucas, party leader, who is being investigated for secretly paying for literature opposing Sen. Norris in the recent election. It can at least be said for Sen. Norris that he “insurges quite as actively” in election years, unlike most of the insurgents who “manage to get on the edge of the reservation” around reelection time. Sen. Wagner (D, NY) will introduce Federal unemployment insurance bill; opponents see danger from “the political demagogue demanding increasingly liberal provisions until he finally has something very like the dole.” This could be avoided by having private industries and states cooperate to set up the system. AFL pres. W. Green puts current US total of unemployed at 5.3M. However, seasonal Nov. increase was only 5% vs. 28% in 1929 and 17% in 1928. Rawleigh Foundation attributes movement of US pop. from farms to cities over past 30 years to agricultural depression and unfair taxation of farms. US shipyards in 1930 built private yachts costing a total of over $20M; have contracted to build more than this in 1931. Pan American Airways to start new Miami - Jamaica - Panama route Dec. 30, requiring 7-hour flight over Caribbean; will be longest over-water route by almost 400 miles, and a “laboratory line” for developing service across the Atlantic. Details of service worked out by technical committee headed by Col. Lindbergh. [Somehow this never catches on ... ] Public mores have been radically changing. Fifteen years ago men stared when a woman showed her ankle, and a woman smoking a cigarette was enough to bring the world crashing down. Even greater changes seem to be in store; the French tobacco monopoly has now created a cigar especially for women. The Cotton Exchange celebrated Christmas with a rousing display; firecrackers exploded around the exchange floor and the room was filled with confetti and colored ticker tape. An old-timer said the scene was the happiest he'd witnessed on the Exchange in a quarter century. Market wrap: Stocks opened firm and advanced steadily on quiet holiday trading, with many traders out until next week. Bonds higher on very dull trading; US govts. firm; foreign steady; corp. generally higher. Commodities firm on narrow trading. Oils were a weak spot following last week's increase in gasoline storage. Coppers were strong after Anaconda maintained its regular dividend. American Tobacco and Woolworth were strong. American Tobacco has had success in concentrating on its Lucky Strike cigarette brand; its sales will increase about 6B this year, while the industry as a whole will produce about 119B, almost unchanged from last year. Sales of other Amer. Tobacco brands have held surprisingly well. Conservative observers see improvement in rail securities within next few months; should benefit from consolidation and from any improvement in general business. Market resistance to selling pressure after closing of Chelsea Bank Tuesday considered encouraging, sign of strong technical position. Extent of decline in foreign trade in Nov. was unexpected by govt. officials who had looked for only a slight seasonal decline. Year-end inventories are expected in most cases to be the lowest in many years; one expert estimated total inventories might be 50% under a year ago. Steel industry production is now as low as it's been in 25 years, but large companies are in better shape than in past depressions; most continue to pay dividends. Bond market comment: Recent sharp reaction seen due to “local causes of a transitory nature” [probably meaning bank failures]; however, “credit position of the country is strong, money is cheap, and prospects point to a steady improvement from now on.” Highest grade municipals have held up relatively well; average price decline was about 2% from Oct. 15 - Dec. 16. Foreign loans of $362.7M scheduled to mature in 1931 vs. $115.7M in 1930, but refinancing has already been arranged for most of the total. First 15 rails report Nov. net operating income down 44.7% from Oct., 26.0% from Nov. 1929, and 37.3% from Nov. 1928; gross revenue was down 19.6%, 18.0%, and 21.2%, resp. Eastern rail conference on consolidation continues between representatives of main lines (Pennsylvania, New York Central, the Van Sweringen's Chesapeake & Ohio - Nickel Plate system, Baltimore & Ohio); good progress reported. US Steel ingot production for week ended last Monday was at 41% vs. 44% prev. week and 64% in 1929; independents were at 30%, vs. 33% and 62.5%; industry total was 34%, vs. 37% and 63%. Substantial reduction to as little as 20% expected this week due to holiday shutdowns, but a relatively sharp expansion is expected early next year. Fed. Reserve reports 981 US banks closed in the first 11 months of 1930, a record high; 236 failed in Nov.
S.W. Straus estimates US conservatively needs $4.5B of public works construction, not including private building. About $1.2B is currently going forward. Worldwide assoc. of tin producers proposes two-year program of export restriction. Java sugar producers seen unlikely to cooperate with production cut plan; raw sugar declines 5-9 points, with Dec. futures at 1.11 cents/pound. French wine crop disastrous; 1.109B gallon total vs. 1.663B in 1929, poorest in decade in both quality and quantity. Steamships operating Caribbean cruises report unprecedented holiday demand. Bookings have been slack for round-the-world cruises. NYSE seat sold for $200,000, off $10,000 from previous sale. Companies reporting decent earnings: Briggs Mfg. (auto bodies, only large co. in the industry to show profit gain over 1929). Reo Motors bucks severe slump in rest of industry; new car registrations in 39 states for Nov. are up 38% vs. 1929, compared to industry decline of 46%. [Starring Jimmy Stewart as J. Wayne.] Philadelphia bank depositors assured by leading bankers and Clearing House assoc. that all funds needed by any bank would be made available immediately. This followed a run at Franklin Trust Monday night, during which J. Wayne, Clearing House pres., mounted a table and told the crowd of depositors the bank was as safe as any in Philadelphia. Most of the crowd then left; Mayor Mackey also reassured depositors in the morning. Chelsea Bank, a NY institution with $18.9M in deposits, closed (not member of Fed or NY Clearing House). T.E. Hambleton, pres. of Hambleton & Co. private bank of Baltimore, commits suicide at 44. H Baetjer, friend and counsel, says affairs of the bank in good condition; friends attributed suicide to domestic troubles and death of brother in plane crash a year ago. Private bank Pallotti, Andretta & Co. in Hartford, Conn. closed. City Bank of Miami Beach closed; affiliate of the National Bank that closed yesterday. French Oustric affair, initially represented as affecting only a narrow circle of speculators with a relatively small monetary loss, has turned into a big political and financial event. Together with the failure of Banque Adam, with thousands of depositors, it seems to have caused a shock to the nerves of many in France. There has been a large scale withdrawal of money from big banks, and the big banks have in turn called balances from abroad; as a result, between mid-Sept and end of year about 6B francs in gold will have been imported. This is likely to cause domestic currency inflation and penalize French exports. [Somehow I doubt the Madoff investors get 37% ... ] Final chapter in the Ponzi saga, at least as far as “investors” are concerned; they get a final dividend of 1/2%, bringing total recovery to 37 1/2% of claims, paid out in a series of dividends since Dec. 1921. Mr. Ponzi remains in jail. Editorial: Congress continues to misbehave; most recent antics include Senate's washing of Republican dirty linen concerning the party's efforts to defeat Sen. Norris (R., Neb. ), and Rep. McFadden's ridiculous accusations against Eugene Meyer in advising the Senate to reject him as Fed. Reserve Gov. President's Emergency Committee for Employment asks farmers to help by undertaking all construction work practical at this time. Former Rumanian premier Vintila Bratianu dead of apoplexy. Denmark establishes modern fish canning factory manned by Eskimos, North of the Arctic Circle in Holstenberg, Greenland. Human hair has the property of expanding and contracting along with changes in humidity, and is therefore used in making scientific instruments like the hydrograph, used in weather observatories all over the world to record humidity. Best hair for this purpose is from redheaded girls, since it absorbs more water. Cleveland reaches agreement to host National Air Races for next 10 years. Market wrap: Stocks moved narrowly in “pre-holiday” atmosphere; weak opening was followed by midday recovery; some late weakness after local bank closing. Industrial leaders, coppers, and rails showed strength. Bonds weaker on more active trading; US govts. slightly lower, foreign generally steady; corp. mostly lower with highest grade steadier. Commodities mixed, closing with relatively small changes. Conservative observers advise remaining on sidelines until more accurate information on trade in the new year. Market observers are watching yearly low levels; a breakthrough to new lows is believed to indicate further decline, while holding above previous lows indicates strength. Brokers are increasingly allowing customers to carry margin on stocks under $10 due to the rising number of such stocks. Movements in silver price are being watched closely; recent decline in commodities was led by the white metal. Recent investment buying said counteracting negative influence of commodity prices, bank failures, and tax selling. Article by H. Alloway praising self-regulation of NYSE; while Exchange constitution isn't ponderously detailed as law books, it deals with principles and can be swiftly and equitably enforced due to the absolute authority of Governors over members; indeed, penalties are often inflicted for acts violating no formal laws. A. Sloan, GM pres., says world going through major economic readjustment; hopes we can, through better knowledge, determine underlying cause of business cycles. While not forecasting when things will turn, says no cause for discouragment, better order is sure to result, and eventually greater prosperity than ever before. J. Klein, asst. Commerce Sec., returns from 2-month European survey; depression there severe; France feeling first effects. No signs of immediate recovery but noticeable change in attitude to US business, general realization US must lead recovery. C. Minor, Internat'l GE pres., says co. business in Europe very satisfactory, electrical industry resisting depression better than any other line of business. AT&T has attracted considerable investment buying, with yield now over 5% and shareholders now numbering over 580,000. Traction stocks were weak on reports of complications in unification negotiations. Income tax receipts for July 1 - Dec. 20 were $1.082B vs. $1.163B in 1929; receipts for Q4 may run above earlier estimates by $15M-$19M. Rail freight loadings for week ended Dec. 13 were 744,443 cars, down 42,730 from prev. week and down 178,418 or 19.3% from 1929 week. Gasoline stocks at refineries Dec. 20 were 39.016M barrels, up 1.336M in week; refineries operated at 65.3% vs. 64% prev. week; oil production was 2.202M barrels/day, down 30,650 from prev. week and down 431,600 from 1929. Following ruling by Florida Supreme Court requiring city of Sanford to raise taxes to provide for debt service, city asks bondholders to negotiate modification to ease burden on community; bondholders say willing to discuss some modification, will continue with legal proceedings if unable to agree. Northwest Bancorp. monthly review says holiday trade in 10 Northwestern states running well ahead of expectations 60 days ago. Commerce Dept. reports foreign trade of 62 countries, representing over 92% of all world trade, totalled $27.282B in first 6 months vs. $31.774B in 1929. Iron Age reports usual year-end shutdowns in steel plant operations may drive production below 25%, but Jan. specifications continue to improve, indicating upturn early in new year. Farm Board reports producers of over 40 crops helped by Agricultural Marketing Act through 12,000 farmers' cooperative associations with 2M members. German unemployment relief headquarters announces German unemployed on Dec. 15 were 3.977M. Australian banks protest heavy demands by govt. on resources, say this may force drastic curtailment of service to other customers, losses to industry. Bank of France Gov. Moret tells parliamentary commission investigating Oustric bank failure the central bank will probably suffer no loss due to the affair. Companies reporting decent earnings: Brooklyn-Manhattan Transit (BMT). Marshall Field & Co. stock about 28; 1929 earnings $5.02/share, 1930 estimate $4/share; yield 9%. Aluminum Co. of America still selling at relatively high multiple of 20 times expected 1930 earnings based on long-pull optimism on aluminum industry. [Still no banking crisis here .... ] Bankers Trust of Philadelphia closed after heavy withdrawals; had 135,000 depositors, total deposits $42.5M; Penn. Sec. of Banking says financial situation in Philadelphia sound, no reason for depositors in other banks to be alarmed. City National Bank in Miami closes after heavy withdrawals; had deposits of $5.9M; E. Black, Fed. Reserve Bk. of Atlanta Gov., says other Miami banks sound. Four of five banks in Greenwood, Miss. closed, also banks in N.C., Mo., Ind., Ga.
[Strangely familiar.] Fed. Reserve policy will make banking funds more plentiful in early 1931 than any time in the current depression. This should eventually extend easy short-term money rates in financial centers to the long term money market and throughout the country; should stimulate bond and mortgage markets. Fed plans to keep close to the current $700M in govt. securities and over $1B credit outstanding even after holidays when demand for credit slackens. In spite of “bickerings and demagogy,” Congress is making fair progress. It has already passed bills for $116M emergency construction, $45M drought relief, and $150M Farm Board appropriation. Muscle Shoals agreement seems near; World Court issue was postponed. Regular appropriations to be acted on when holiday recess ends Jan. 5. US population continues moving to cities; 56.2% of the 122.8M population in the 1930 census live in urban communities vs. 51.4% in 1920. Farm Board chair. Legge says if world wheat prices continue decline, some may be imported to US [in spite of tariff]. Editorial: Rails should be set free to compete with rival forms of transport. A natural monopoly is regulated as the only possible substitute for free competition; once the monopoly character of the business disappears, so does the basis for regulation. Rails should be allowed to operate trucks, cut rates to meet competition, and discontinue service on branches that highways have made unprofitable. Int'l Labor Office statistics show 7.197M unemployed in 32 countries between June-Oct. 1930 vs. 4.873M in 1929; however, the Office estimates a “vastly greater” number of jobless because some countries only report registered unemployed or unemployed union members. Mexico passes new agrarian law prohibiting land expropriation unless cash payment is made. [Strangely unfamiliar.] On grounds that necessity knows no rules, Italian govt. orders sweeping cuts in govt. salaries, ranging from 12% (on salaries up to 40,000 lire) to 35% (on salaries over 60,000). Ministers of state are also subject to the program. Govt. also ordered 8% cut in industrial wages, and is negotiating cut in agricultural wages. C. Dewey returns from 3 years as economic advisor to Poland; says country has balanced budget, sound conditions, only 200,000 unemployed in 30M pop. Believes depression not as severe as in neighbors because Poland is mostly agricultural. Scattered bartering has broken out for wheat. Sparta, Mich. barbers offer a haircut plus 27 cents cash for a bushel; Rural Canadian hockey teams offer a first class ticket for a bushel. Norman Thomas, Socialist leader, asks Gov. Roosevelt for investigation of NY State Banking Dept. in connection with Bank of U.S. with object of recommending needed changes in banking law. NY Bureau of Securities presents draft of Martin act amendments to make it harder for fraudulent brokers to operate in NY. [Probably worked better than video ... seriously.] Golf champion Bobby Jones to give series of 26 weekly radio lessons on golf. Market wrap: Stocks declined for most of the session, gathering momentum in final hour, but scale support was evident and declines within normal technical bounds after the sharp rally. Bank shares broke sharply near the close. Bond market mixed; US govts. dull, steady; foreign mostly higher; corp. mixed, with speculative and convertibles particularly weak. Commodities mixed; grains down sharply to new lows but copper producers raised prices 1/4 cent to 10 1/4. Examination of bear markets for the past 30 years shows that in a declining period, prices always rallied substantially from Dec. lows before end of the year. Specialties that had rallied sharply for the past few days suffered the greatest losses. W. Farish, Humble Oil pres., says believes depression will end within 6 months, co. will try to keep all employees. [Rare realistic commentary.] S. Strawn, Montgomery Ward chair., sees nothing to indicate upturn in business for “some months to come.” Depression “pretty bad all over”; all European countries with possible exception of France suffering about equally to US; early recovery requires world cooperation; won't hazard guess about next year, best one can do is hope for a turn for the better. The usual strength hasn't been evident in stocks benefitting from holiday trade, including chain stores, Bulova, and Hiram Walker. US citizens spent about two-thirds of the $7.5B world travel bill for 1930. Wholesale gasoline price cut in NY and New England; Standard Oil NJ cuts diesel fuel oil. Nov. US cigarette production was 7.952B vs. 9.041B in 1929. Australian wheat harvest expected to be a record by far; some difficulty expected in financing marketing due to crop size, various plans being considered. British loss of gold to France continues in spite of rising money rates in London over past few days (3 month bills at 2 7/16%). Bank of Montreal Nov. report sees little change in Canadian business conditions aside from holiday retail activity; attributes business dullness to decline in farm product prices. World tin situation seen difficult, production cuts needed, some producers reluctant; very long term outlook promising due to limited reserves. G. Sloan, Cotton Textile Institute pres., says the industry made tremendous strides this year and is in excellent statistical condition. 11 Brooklyn and Manhattan savings banks show $25.4M gain in deposits for first 2 weeks of Dec., very unusual for holiday period. Companies reporting decent earnings: Kansas City Pwr. & Light, McGraw-Hill, Rath Packing, Wesson Oil, De Beers Consol. Mines. 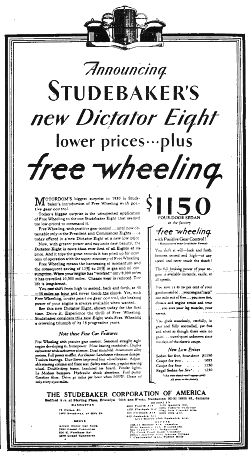 Montgomery-Ward making strenuous effort to stimulate winder sales; midwinter “Flyer” catalog will have 248 pages vs. 168 last year, about 4,000 items with price cuts of 10%-25% from fall and winter catalogs; continues easy payment plan. Tony Sarg's Marionettes will begin 13th annual Christmas show on Broadway at the Belmont; show will be Alice in Wonderland; said to be more elaborate than previous shows including Treasure Island, Don Quixote, and Rip Van Winkle. “Who's to blame for China's woes, Her famine, misery and strife - ... Why - Hoover. Who's to blame for Europe's plight, Love replaced by bitter hate. Who's to blame for every ill, From chillblains to sore throat? We cannot face our foolishness, Where can we find a handy goat? Why - Hoover. Washington report: Pres. Hoover credited with successfully cracking the whip on Congress, a turnaround from his previous reputation of giving way too easily. Farm Board's need of new $150M appropriation was severe; testimony showed Board was down to its last $2M. Washington seen more realistic on depression, “turning a cold eye on the various sponsors of panaceas.” White House denies reports Pres. Hoover plans to call extra session of Congress to take up World Court protocol. House Dem. leader Garner taking early steps to “organize” the next House; which party does this is likely to remain unsettled to the last moment. [Some surprisingly high numbers.] R. Ashton, Amer. Railway Assoc. pres., estimates cost of waste, loss, injuries, and deaths due to motor traffic in 1930 as about $3B, or three-fourths of the entire Federal budget. Suggests education, action by states and cities, uniform laws. Number of US homes wired for electricity has doubled to 20M since 1923 reaching about 68% of US homes. Domestic electric use has continued to grow well although industrial use is down. Total electricity usage in first 9 months was up over 1929, but has shown small declines vs. 1929 in recent weeks. Eastern rail presidents reported meeting on consolidation; Washington authorities said urging them to settle differences. ICC would of course have final say on any plan. [Strangely unfamiliar.] French Minister of Justice announces proceedings against 181 bankers, of whom 35 were arrested. Spanish Gen. D. Berenguer reportedly decides to end dictatorship, bring about parliamentary rule. Argentina Fed. of Industry advises increased purchase of British goods in exchange for British purchase of Argentine agricultural products. Woolworth London store selling light bulbs at suspiciously low 12 cent price; Sir H. Hirst, British GE pres., believes bulbs were dumped on market by Russia. NY and NJ officials discuss construction of second tunnel to be built by Port of NY Authority between 38 St and Weehawken [Lincoln tunnel]. NY Gov. Roosevelt Agric. Advisory Committee recommends setting up state-controlled regional food markets as outlet for farmers and to reduce costs. A wealthy Wall Street man has hired 10 unemployed men and women to address and deliver his Christmas cards this year. Goodyear-Zeppelin Corp. new airship dock at Akron, Ohio recently completed [world's largest structure without interior supports, dimensions are 1,175 feet long by 325 feet wide by 211 feet high]; opening guarded by two steel doors weighing 600 tons each. [Finally studying something useful dept.] Standard Brands establishes research fellowship at Yale Univ. for study of chemical changes that occur in coffee as it ages. Only one of 130 mail bags has been recovered intact from the wreck of the St. Sunniva steamer on the Shetland Islands last April. The mail was recently delivered to the recipients; all of it consisted of demand notices from the income tax collector. Market wrap: Stocks continued to show improved tone; trading was light but most activity was upward, with particular strength in autos, utilities, tractions, and some specialties recently under bear pressure. Bonds continue strong rally; US and foreign govts. generally steady, corp. very strong with widespread sharp rallies. Commodities mixed; cotton up, grains weak. Week in review: Selling climax in stocks reached at start of week; sharp turnaround to rally mid-Wed.. Trading slowed at end of week. Sustained recovery expected into new year. Action in bonds similar to stocks, with sharp rally following drastic decline. Money market steady in spite of banking emergency caused by Bank of U.S. failure and runs on other banks; prompt Fed. Reserve action credited. Steel forward buying improved. Grain prices very weak, though near-term wheat months were supported by Farm Board. Cotton hit new low, then rallied irregularly. British gold drain continued. Far East silver currencies weak. Conservative observers still advise picking up standard stocks on reactions, using stops to protect accounts. Demand by short sellers in the stock loan market was slow. Recent action has demonstrated danger in shorting stocks with small number of shares outstanding; Auburn, J.I. Case, and Worthington Pump have rallied sharply. Better stock market prospects seen into the new year. Sharp upturn in bonds and rail stocks (Dow 40-bond avg. up over a point, rail avg. up 8 points) over the past few days should greatly help sentiment. Respite seen from bad news until yearly earnings reports begin in Feb. Seasonal steel upturn expected. An officer of Elec. Household Utilities Corp. sees business recovery soon based on optimistic reports from NY together with pessimistic ones from the West; based on theory that business changes travel across US from East to West, this indicates upcoming improvement. About $400M of fixed investment trusts (similar to ETF's) will be in US investors' hands at end of 1930, roughly triple the volume distributed before 1930. Old investment trusts in England and Scotland were reportedly consistent buyers of standard dividend paying stocks during the last market decline. Commerce Dept. reports German business poor, difficult winter expected; Japan and China improved; Latin and South America slow, with some modest improvements. July wheat futures hit 66 5/8 cents, low since 1901, before recovering to 67 1/8, but earlier months remained 10 - 14 cents higher due to Farm Board support. Treasury reports income tax receipts Dec. 1-18 were $367.3M vs. $410.4M; for July 1 - Dec. 18 $977.8M vs. $1.079B. Editorial: Agriculture Dept. estimates for upcoming wheat planting presents sobering picture; winter wheat crop alone may provide enough for US supply, leaving spring crop as surplus. Argentine, Australian wheat crop estimates much above last year. Farm Board may have its hands full in continuing to support wheat prices. Irving Fisher's index of 200 commodities for week ended Dec. 19 was 79.4 vs. 79.8 previous week and vs. 92.8 a year ago. Oil discovered in Eastern Colorado, Northern Wyoming. Worldwide tin producers negotiating production cut along similar lines to sugar producers (Chadbourne plan). Sentiment in silver market improved on Mexican plan for stabilization; prices remain near record low of 31 5/8 cents/ounce. Butter and egg futures recovered slightly toward end of last week (after falling to record lows for the season midweek). Sales of electric clocks in 1930 estimated at double to triple 1929 total of 350,000 units. Companies reporting decent earnings: Cudahy Packing (meat), Chesapeake & Ohio Rwy. (against industry trend). Some 1930 profit estimates: AT&T $10.50/share vs. $12.67 in 1929; Westinghouse above $2 vs. $2.78; Macy's - $5.45 vs. $6.70; Sears $3 vs. $6.62. L. Rosenwald, Sears VP, says fall trade is below expectations; volume compares well with 1929, but “marked tendency to purchase cheaper merchandise.” Outlook for 1931 unclear, don't expect much encouragement in spring.